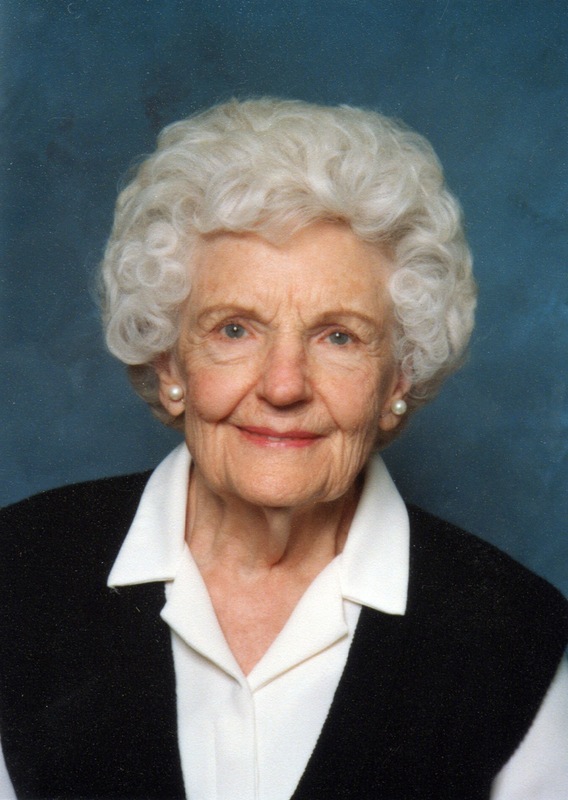 Barbara Ann Gardner Ellingson passed peacefully in Mesa, Arizona on May 1, 2017 and has been reunited with her eternal companion, family and friends. Barbara is survived by her children, John and Carma Lee Ellingson, Barbara and Robert Kempton, Betty and Harley (deceased) Jarvis, Jay and Melody Ellingson, Mons and Sally Ellingson, Mark and Marlene Ellingson, 44 grandchildren, 143 great-grandchildren and 3 great-great grandchildren. Barbara is also survived by her brothers Ben (and Phyllis), and Richard Gardner. Barbara was born on August 11,1920 in Mesa Arizona. She was a Mesa High School graduate. She married John R Ellingson and they made their home in Tempe & Mesa. Barbara’s served in many church callings, the longest as a Temple Worker for 18 years. John and Barbara served an 18-month church mission on the Fort McDowell Indian Reservation. Her testimony of the Savior Jesus Christ was center in her life! A visitation will be held on Friday, May 5, 2017, 6:00-8:00 pm, at the Bunker’s Garden Chapel, 33 N. Centennial Way, Mesa AZ 85201. Funeral services are scheduled for Saturday, May 6, 2017, at 10:00 am, with a visitation at 9:00 am, at the LDS chapel located at 1345 E University Dr, Mesa, AZ 85203. My condolences to you and your family on the loss of your dear loved one. Losing a loved one is a distressing and painful time. We have assurance from God’s word at Psalm 34:18 that he is near to those brokenhearted and he saves those crushed in spirit. It is my hope that your family will find strength to endure during the days ahead. My condolences are being sent to you, it was an absolute pleasure caring for Ms. Barbara. She was such a beautiful lady inside and out, I will always remember the way she would make me smile, she could always tell if I wasn’t having the best of day, she would just look at me and tell me how pretty I was. I would tell her she was pretty and she would reply back “Oh me you think so?” Yes I do she was such a beautiful soul, Thank you for letting me care for her Barbara will be missed. Barbara was and still is a sweet lady……I served with her in the Mesa Temple……she was always smiling and willing to do anything we asked her to do……I’m happy she is now able to join her eternal companion….